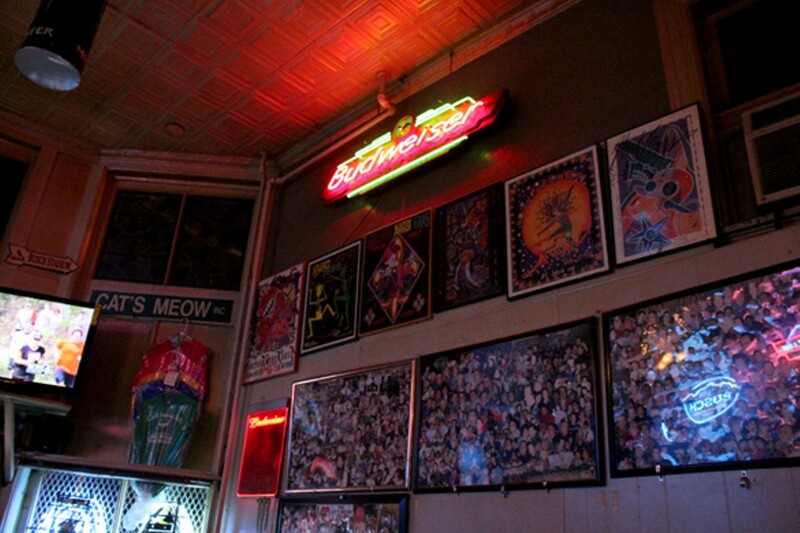 Cat's Meow carries the aura of a cozy hole-in-the-wall with cheap shots and cold beer. The inner walls reflect the bread and butter of this Soulard-based bar: Mardi Gras. The room appears small and intimate, but provides plenty of space for small group mingling. The jukebox hits the spot with classic rock, and the game, whichever game you want to watch, occupies the TV screen. 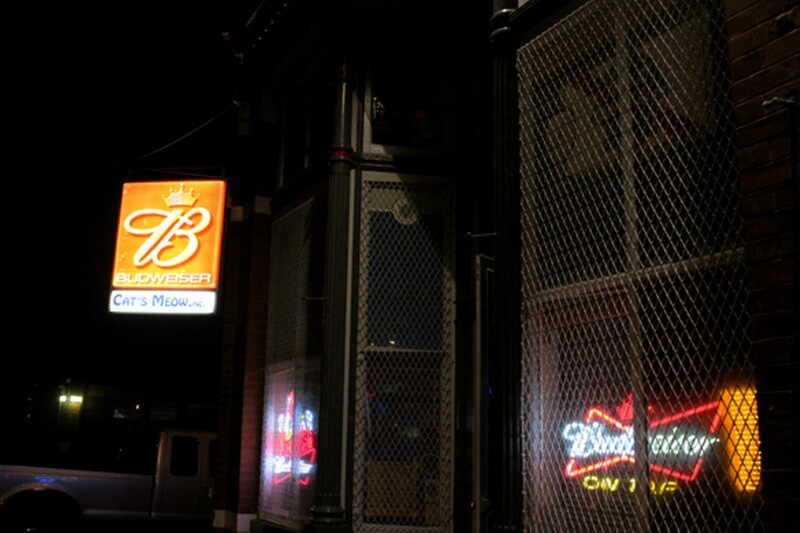 This old school Soulard hole-in-the-wall is cash only. 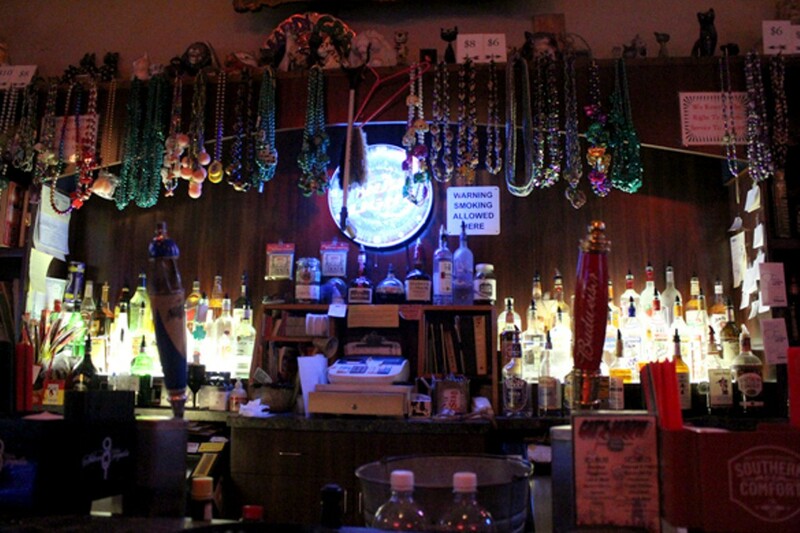 The Cat's Meow sells beads above the bar, and the walls are adorned with snapshots of bygone Fat Tuesday revelry. Bartenders serve up hometown favorite TJ's pizza and diabolical drinks that give new meaning to the words "stiff pour." Ask for the cherry shot and you'll receive a teensy plastic shot with a maraschino cherry soaked in either moonshine or lighter fluid; our tastebuds still aren't sure which.